I spent a good chunk of January wielding my chainsaws (we all need more than one, don’t we? ), and have now cleared the carport. 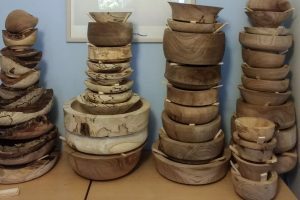 Some timber has gone back down to the bottom of the garden, where it will sit for a few months or years, and other smaller pieces are drying on the shelves in my workshop. 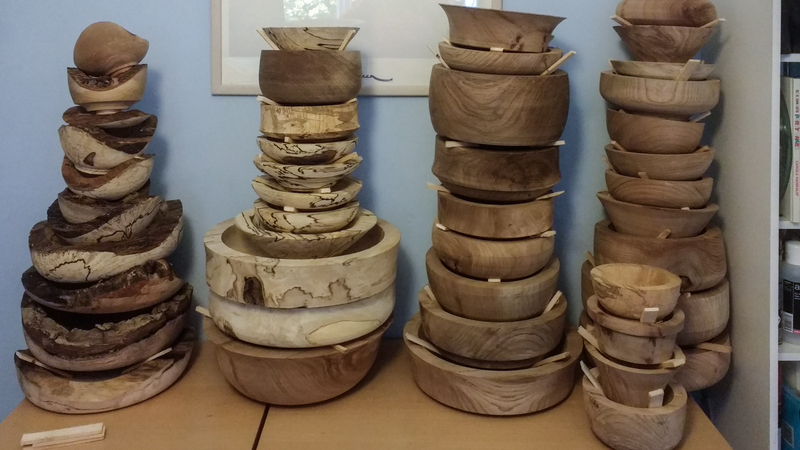 However, much has been rough-turned into these bowls. By rough-turned, I mean they have only been part-turned, as the timber was still not sufficiently seasoned. They have been left relatively thick I’ve not bothered to get a smooth finish on them. 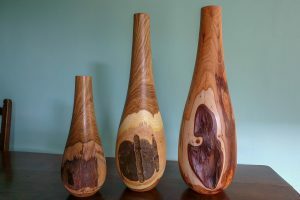 They will sit in the spare bedroom for a few months (don’t think we have any visitors coming to stay) to finish drying – much quicker than if they had been left as a solid piece of timber. They’ll warp slightly as they dry but then I’ll turn them again down to the finished thickness and profile. If they warp too much, then I won’t be able to and they’ll just be more firewood. 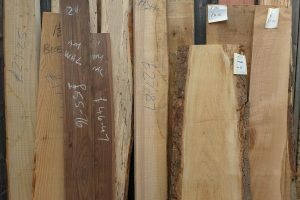 Many will hopefully be ready for this year’s fairs – a good selection of Elm, Cherry and Hornbeam (much of which is spalted).